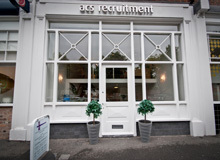 ACS are currently recruiting for a Head of Finance for a law firm in Merseyside. A strong academic background and the holder of a recognised accountancy qualification, such as ACA, CIMA, ACCA with a minimum of two years post qualification experience. Suggesting updates and improvements for accounting systems including payroll. Collaborating with our auditors to ensure proper compliance with all regulations including Solicitors Account Rules requirements.